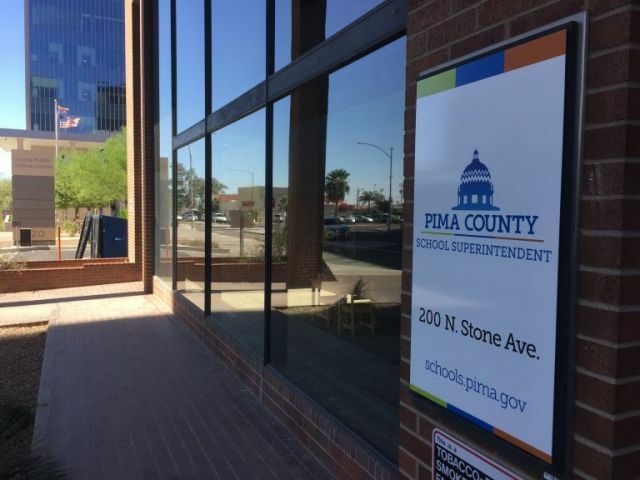 The Pima County School Superintendent's Office is located in downtown Tucson on the northeast corner of Stone and Alameda. Our office hours are 8:00 AM to 5:00 PM, Monday through Friday. You may call the office or e-mail us if you need assistance. Parking is available at metered spaces or in pay parking lots. Please note that we do not validate parking. Sun Tran bus stops are located on both Stone Avenue and Alameda Street. For information regarding available parking options, please visit Park Tucson or Pima County Parking Operations.